Debian Tech tips Ubuntu How to format/erase and create Linux USB bootable start up disk using Ubuntu startup disk creator . In this tutorial, I'm going to show on How to erase/format and create Linux USB bootable start up disk using Ubuntu startup disk creator program. In my previous tutorial, I have covered on how you can do this using Gparted . You can find startup disk creator in almost all Ubuntu version as it comes with Ubuntu default distro installation . 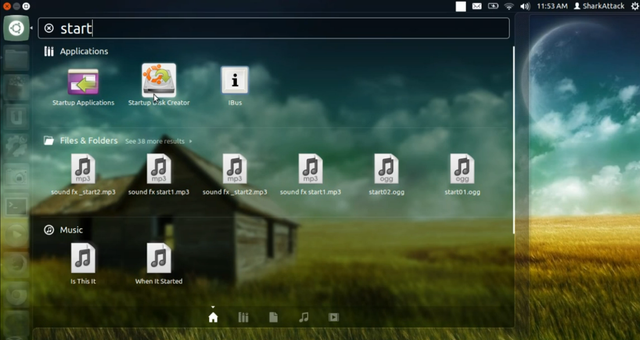 Before you proceed with this tutorial, make sure you already downloaded the Linux ISO that you want to use with the USB drive . What will be covered in this tutorial ? 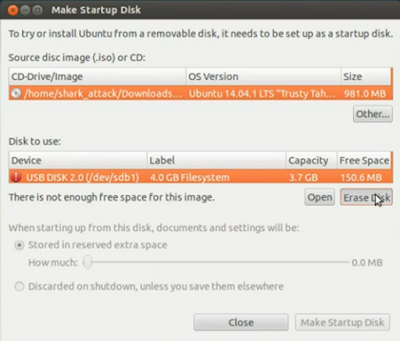 Create or make a new USB bootable Linux drive in the USB . 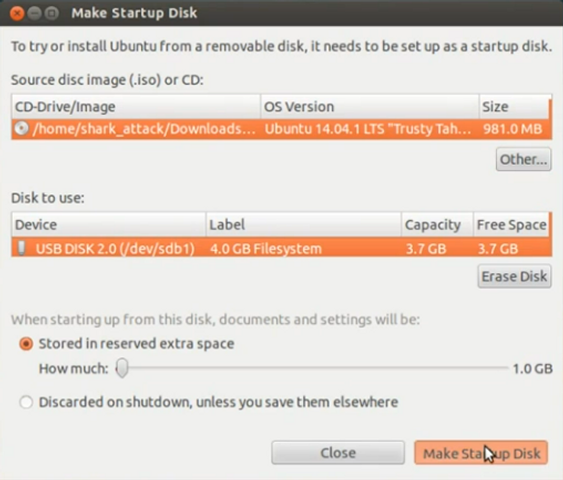 1.1) Make sure you already plug in the USB drive in your system.Run Startup disk creator from Ubuntu launch tab. 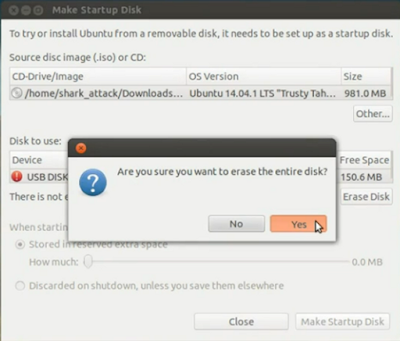 1.2) Click "Erase Disk" to format the disk. The program will proceed to format the disk . 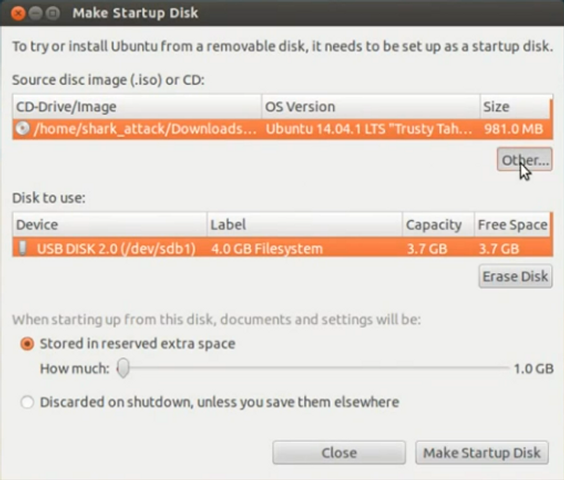 2) Create or make a new USB bootable Linux drive in the USB . 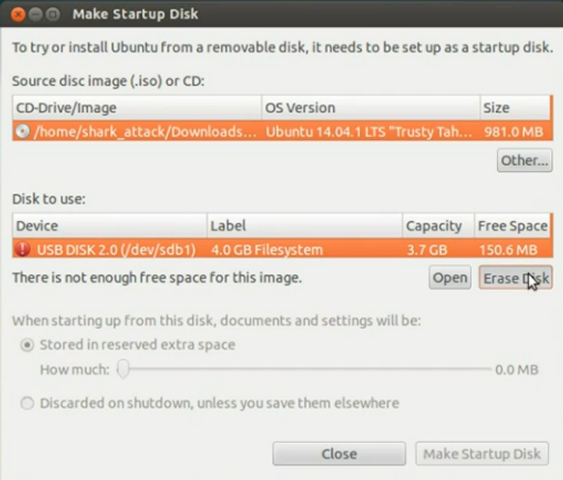 2.1) Once formatted, look for the Linux ISO that you want to make bootable with the USB drive . 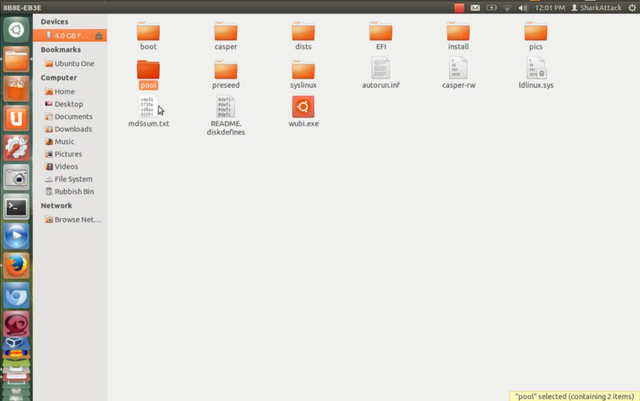 Click "Other" to look for the file . 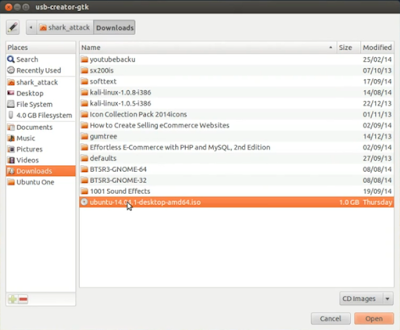 Choose the Linux ISO file . 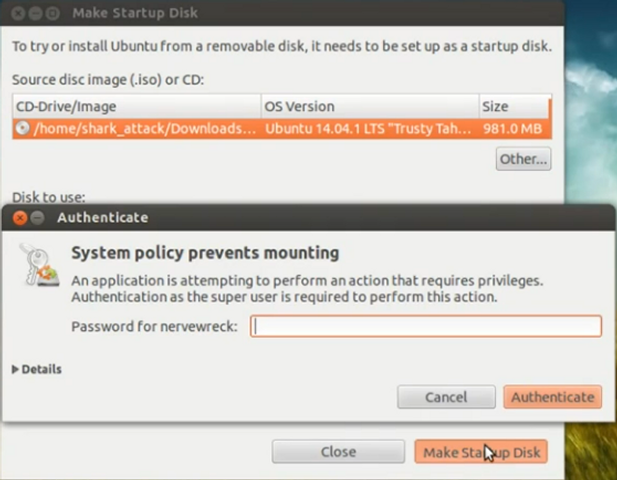 2.2) Click "Make Startup Disk" . 2.3) Key in your password . The program will proceed to create Linux bootable USB. 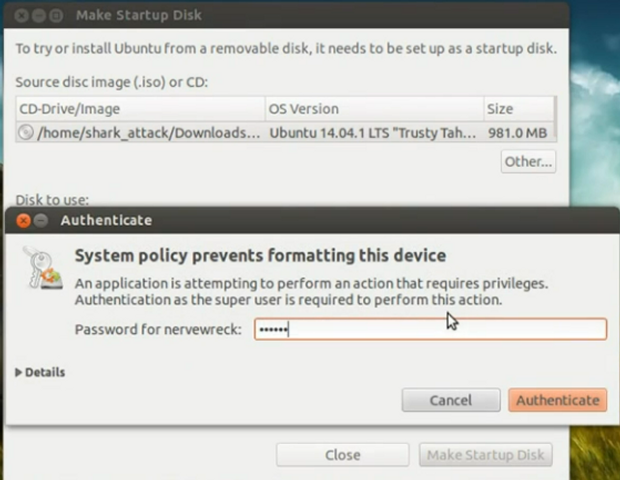 2.4) Once completed, click "Quit" to complete the installation and check the USB drive. You should be able to use the drive. Read Previous :How to capture system performance graph during boot up in Ubunru or other Linux+Gnu distro .